I've been having fun lately with a stylus and the Sketch 'Em app on the Google Market, which is supposed to be a drawing tutorial for the "artistically aspiring". It's really just a tracing program, but with the pieces of the sketch appearing little by little as you fill in the lines. But I've been disappointed with the content, which is entirely divided between Dinosaurs (yawn) and Anime, specifically the kind of anime that I would prefer not to draw because it replicates harmfully unrealistic views of human bodies. 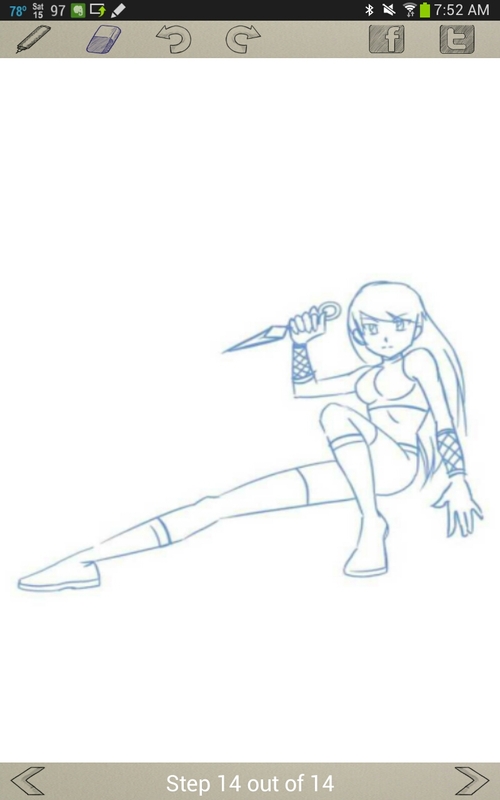 So I've been trying to replicate the anime drawings but with redraws that seem a little more appropriate. And it's soooooooo much harder than tracing the lines, but feels a lot more satisfying when I'm done. So there's that. 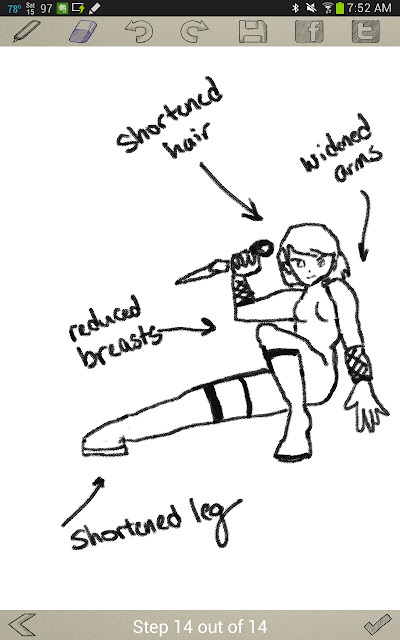 Below is an anime warrior; I shortened her hair, widened her arms to be more muscular, reduced her breast size, and shortened (and thickened) her extended leg.